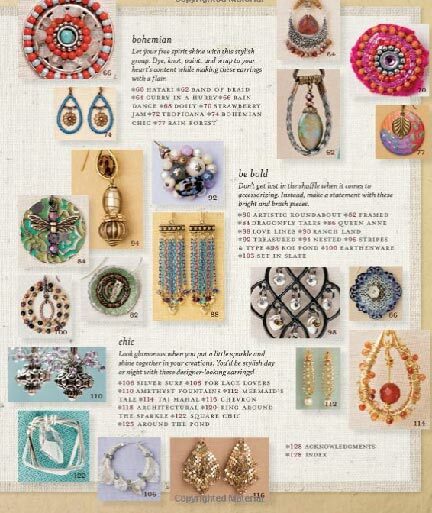 I have always enjoyed Candie Cooper's fun playful, but still feminine style, which we got an eyeful of in Necklaceology. 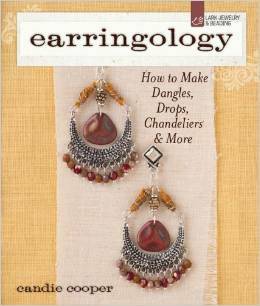 Now she's back with 50 gorgeous beaded earring projects in her new book, published by Lark Books, Earringology! Candie has traveled extensively, and I think you'll enjoy her unique materials and style, particularly the Asian flair that comes from years of living in China. 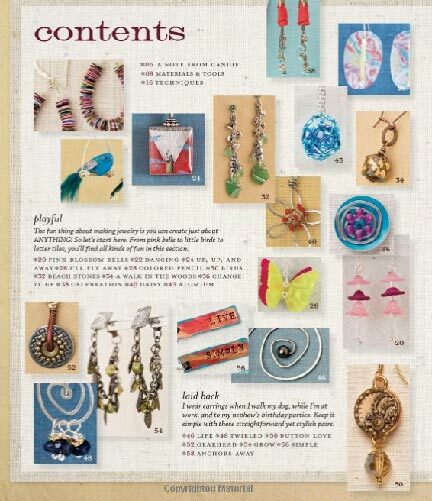 After covering the few basic techniques used in many of the projects, Candie launches right into 50 wonderful designs that will have you running for your supplies. Most are simple enough that it only takes a beautiful two-page spread to show how they're made, a few needing an extra page for detailed directions. The photos and illustrations are all what you expect from Lark...superb.